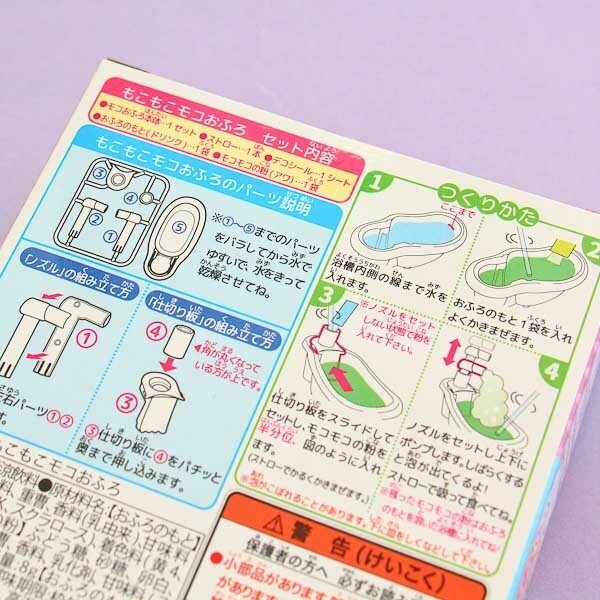 Kawaii or silly? You decide! 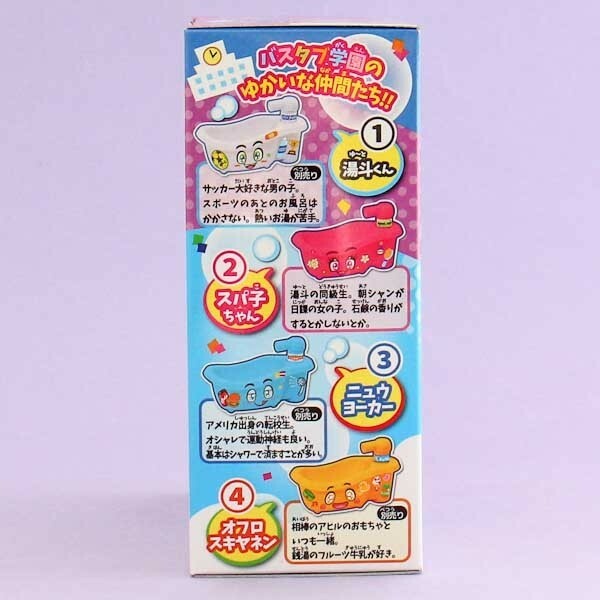 Moko Moko Moko Ofuro is a new addition to the Hearts favorite DIY toilet candy sets. 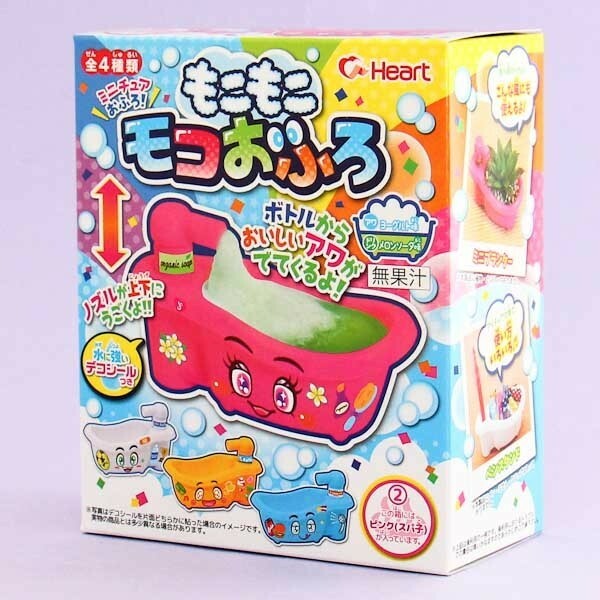 With this DIY set, you get a mini bath tub which you can build and then drink sweet foam drinks from it! Decorate the brightly colored bathtubs with the face stickers, turning them from boring tubs to kawaii anime characters. Add some water, then pour the sachets of flavored powders into the tank. This results in a foamy sweet drink bubbling out of the faucet to the bathtub! You will love this, and it is guaranteed to be a hit at any party. You can even keep the tub for future use as a cactus pot for example! You never know which color set you will get!